Aloha Guys and Gals. Wanted to give you all an update as I have been asked to keep some of you posted. So, my album is on the ballot for the Grammy Awards. 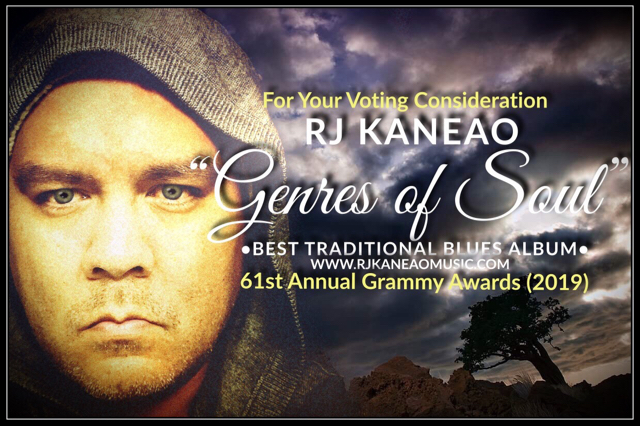 I was originally in the BEST CONTEMPORARY BLUES ALBUM but the Grammy Academy decided that my album belonged in the BEST TRADITIONAL BLUES ALBUM. First round of voting has started and ends on Halloween. I&rsquo;m extra grateful for the chance to be part of the academy and be part of the awards system. I was just also in the current issue of Billboard Magazine to promote the album on their famous Grammy Issue. I wanna say a huge thank you to Ernie Ball and Music Man for their continuous support.